This Weekend Aesthetic is a little different from my previous ones as I’m featuring an aesthetic of a graphic novel! For the past couple weeks I have been rewatching Avatar: The Last Airbender with my brother. As we neared the end of the show, I began reading all of the graphic novels that take place after the show—The Promise, The Search, The Rift, Smoke and Shadow, and North and South. These are must reads if your are a fan of the show! While I enjoyed them all, I think The Search is my favorite volume as it answers one of the biggest mysteries the show ends with—where is Zuko’s mother? I loved how Ursa’s past was interwoven throughout the volume and that we visit her hometown! For years, fans of Avatar: The Last Airbender and The Legend of Korra have burned with one question—what happened to Fire Lord Zuko’s mother? Finding a clue at last, Zuko enlists the aid of Team Avatar and the most unlikely ally of all to help uncover the biggest secret of his life. Featuring annotations by Eisner Award–winning writer Gene Luen Yang (American Born Chinese) and artistic team Gurihiru (Thor and the Warriors Four), and a brand-new sketchbook, this is a story that Avatar fans need in an edition they will love! 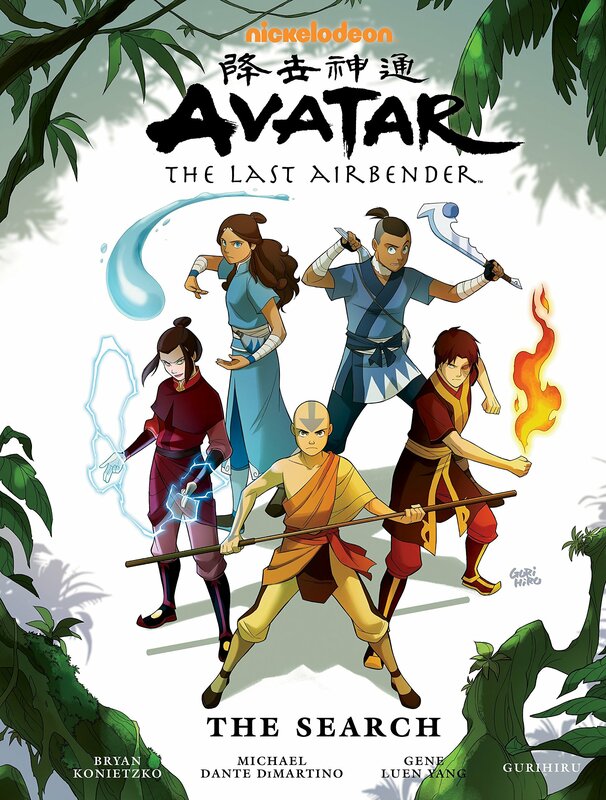 * The official continuation of Airbender from its creators and best-selling writer Gene Luen Yang! Have you watched Avatar: The Last Airbender?